At first glance, I thought it was a (birthday) cake onto which lots of letters had been dropped, but hey- Happy Everything! My problem is that I have a lot of letters floating around in my brain, but they seldom settle into an order that make sense! I like this so much! 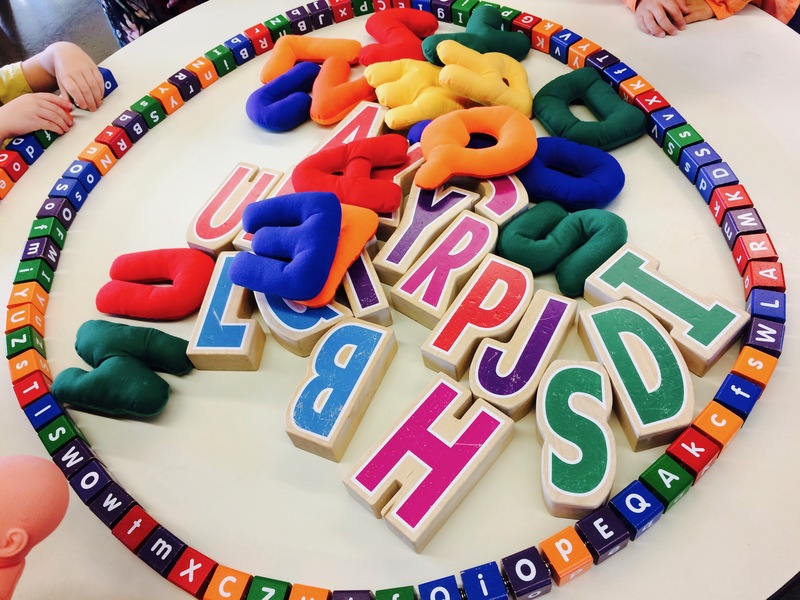 The soft letters and hard shaped letters with a ring of more connecting letters was like opening a book for these kinders! Thank you for sharing my quote. i think that you said it perfectly.